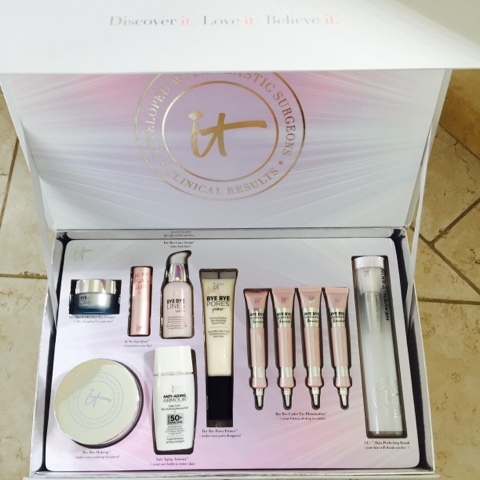 For this Friday's favorites I must share with you some of my favorite makeup products by It Cosmetics. 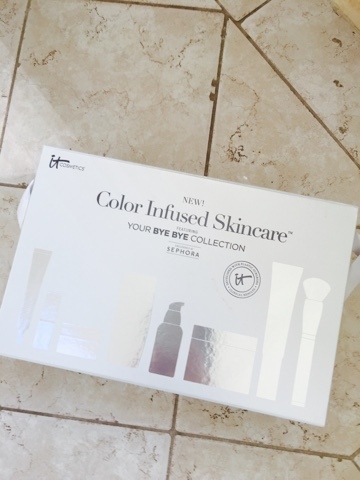 The new Color-Infused Skincare featuring Bye Bye cosmetics are now available at Sephora. They are just incredible and I hope you check them out. You can shop these at the links below. Bye-Bye Under Eye Illumination-- This is one of my all time favorites. It is full coverage anti aging waterproof concealer. Think of it as 8 hours of sleep in a tube!!! Bye Bye Makeup-- A three in one makeup cleansing balm that removes all makeup and has an anti aging softening serum. Bye Bye Under Eye Cream-- Smooths, brightens, and depuffs. It reduces the look of lines and wrinkles. A hydrating color awakening lip treatment. Bye Bye Pores Primer-- It makes pores disappear. 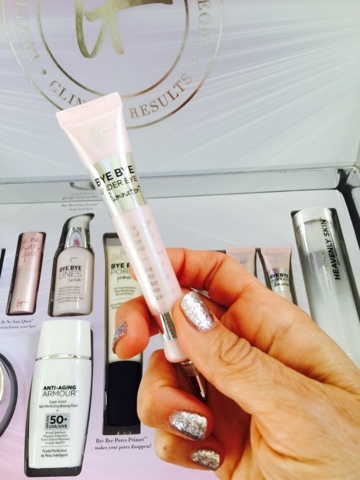 This is an oil free powerless skin perfecting serum primer. Anti Aging Armour-- This stops time and transforms your skin's future. It is a super smart skin perfecting beauty fluid plus SPF 50+ UVA/UVB Broad Spectrum Physical Sunscreen. Bye Bye Lines Serum-- This is an advanced anti aging wrinkle smoothing miracle concentrate. CC+ Skin Perfecting Brush-- This is a groundbreaking anti aging skincare infused brush. I'm obsessed!!! I hope you check these out. It cosmetics is just incredible. I know you will love it as much as I do.